Getting UK cultural orgs "Fit for China"
Collaborating with Culture24, Surface Impression was engaged by the British Council to explore methods to promote content from UK cultural organisations within China. The organisations included the Victoria and Albert Museum, National Galleries of Scotland, Historic Royal Palaces, Royal Shakespeare Company and the Welsh National Opera. 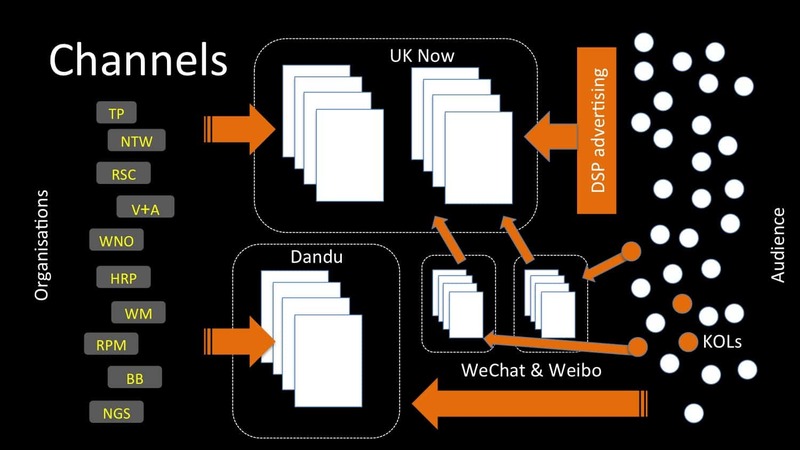 Using the British Council’s UK Now site, hosted in China (and so within the “Great Firewall of China”), 10 cultural “stories” were designed, iterated and circulated through Chinese social media platforms (eg WeChat / Weibo) and through the app of a niche literary publisher (Dandu). Audience take-up was accelerated via online advertising and through Key Opinion Leaders (KOLs). Surface Impression’s role was to measure success of the different content pieces, channels used and interaction quality – both on an ongoing basis throughout the process, to help inform iterations, and at the end of the project in a summative report that gave insight to the partner organisations. Data for analysis was sourced from the social media platforms, the partner publisher and the web statistics of UK Now.